Meenakshi Srinivasan’s background in architecture and urban planning serve her well as chair of the Board of Standards and Appeals. With a staff of 20, including five commissioners, BSA reviews 400 to 500 applications per year, including appeals of final decisions made by the Department of Buildings, applications for variances from the zoning resolution, applications for certain special permits, and vested rights claims. A native of India, Srinivasan’s early interest in art, science, and mathematics led her to pursue a bachelor’s degree in architecture from New Delhi’s School of Planning and Architecture. Srinivasan practiced for a year as an architect in Delhi before expanding her interests to large-scale urban design and planning. Interested in examining how physical space impacts the public realm, Srinivasan came to the United States in 1986 to earn her master’s degree in city planning, urban design, and architecture at the University of Pennsylvania. 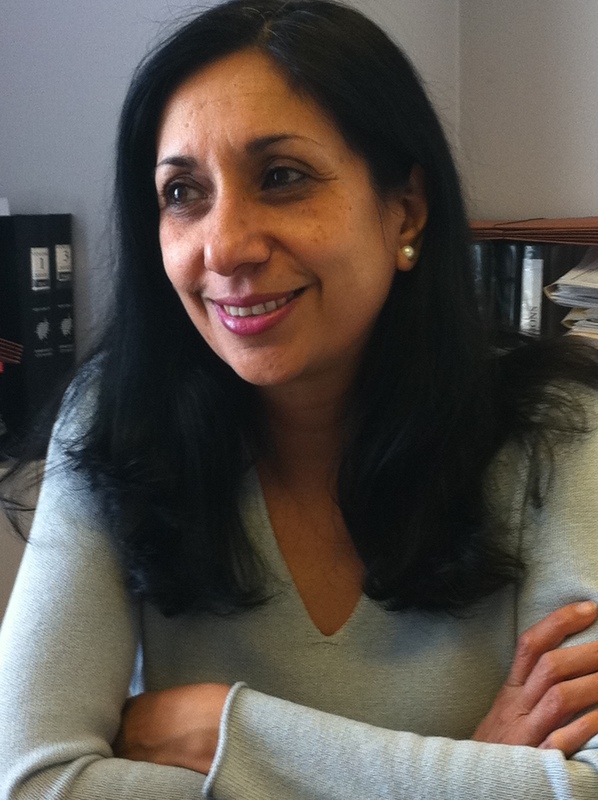 After graduation, Srinivasan in 1990 joined the Department of City Planning as an urban planner where she worked on borough-wide studies related to housing and urban renewal areas. In 2000, she was named deputy director of Planning’s Manhattan office. Srinivasan helped lead notable projects such as the Special Midtown District Theater Subdistrict rezoning, the Sixth Avenue rezoning, and the Hudson Yards Master Plan. The Master Plan was particularly significant to Srinivasan because, unlike many projects that were reactive, it created a zoning blueprint for the future development of Manhattan’s West Side. New responsibilities. In 2004, Mayor Michael R. Bloomberg appointed Srinivasan as BSA chair. As chair, she has worked to increase the transparency of BSA’s review process, and ensure that its decisions are fair and based on a clear application of the law. Srinivasan explains that the goal is for BSA to be accountable, so that applicants and other interested parties understand the rationale for a decision, even if they do not necessarily support the outcome. Reflecting on her tenure as chair, Srinivasan believes that she and her staff have improved BSA by setting a higher standard in terms of the quality of evidence expected from applicants. Srinivasan has also focused on increasing public access to the BSA. Active cases and prior decisions are now available online and application guidelines have been clarified to assist developers preparing a project for review, as well as community boards seeking to better understand the review process. Complementary roles. Srinivasan believes that her time spent crafting land use regulations at the Department of City Planning complements and informs her role at BSA, where she often considers whether to grant exceptions to that same policy. She explains that generally applicable planning tools, such as bulk controls or design guidelines, do not always apply efficiently to specific sites once implemented. This creates a need for a “safety valve” to grant relief from comprehensive planning policy. According to Srinivasan, BSA is cognizant of the City’s broader land use goals and is sensitive not to undermine these efforts. Therefore, if a variance is sought within or adjacent to a recently rezoned area, BSA will consider the City’s rationale for the rezoning to determine whether a proposed project is appropriate for a site. As for formal dialogue between BSA and Planning, the two bodies maintain open and ongoing communication to stay informed about each other’s projects. The decision-making process. Srinivasan emphasizes that it is critical that BSA’s decisions are consistent, thorough, and legally defensible. In the case of variance applications, Srinivasan and the other commissioners focus on evidence in the record that supports the five necessary findings set forth in the zoning resolution, including extensive land use analysis and financial data. Applicants attempt to bring prior decisions to the BSA’s attention, but Srinivasan stresses that each variance application is considered individually. She explains that prior decisions may inform the BSA’s decision- making in terms of consistency and fairness. The granting of a variance for one site, however, does not necessarily mean that the underlying rationale for the prior approval is appropriate for a different site. BSA’s review process is thorough, but its scope is limited to the state and local laws under which BSA is authorized to act. Srinivasan points out that this places the commissioners in a difficult position when community boards raise concerns unrelated to the required legal standards for an action. She notes, however, that community boards can exert the most influence on a variance application when they apply their local perspective to speak to the findings related to neighborhood character and whether an applicant will mitigate potential development impacts. Additionally, in applications for the renewal or amendment of previous approvals, community boards can provide invaluable observations on issues of compliance with those approvals.